Ram Charan Dhruva Movie Songs Track List: The Mega Hero Ram Charan’s Dhruva Movie songs will be out soon. The Aditya music officially announces Dhruva songs track list. Ram Charan fans are waiting for the Dhruva songs after the thrilling teaser which made extra power to the movie. The raising musician of Tamil cinema, Hiphop Tamizha has composed the music for Dhruva. He is the music composer for the original flick Thani Oruvan Tracklist and he is become a hero now in Tamil Cinema. He composed totally five songs with the bag of romantic melody, mass, and negative & positive shades of music. 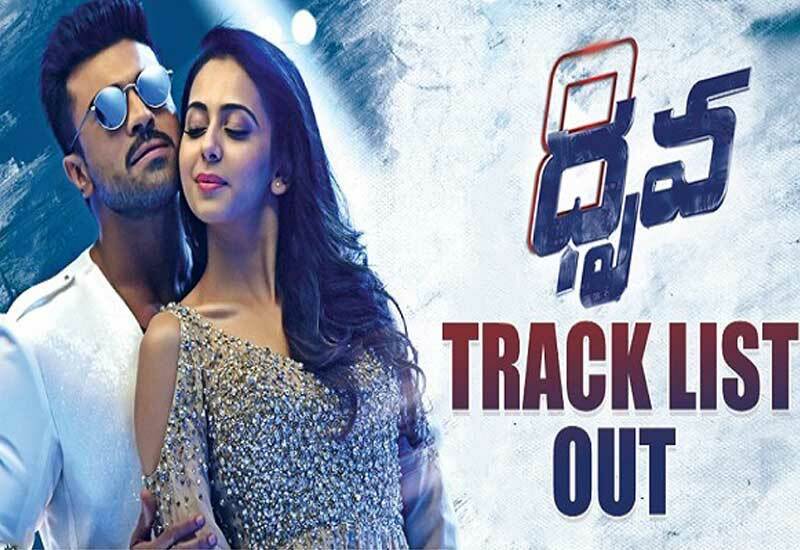 Check the Dhruva Tracklist here below. It is an entirely romantic melody for the lead pair of Dhruva, and the song has sung by Karthik and Chinmauyi. Nee Kanulalo Maya from Dhruva has penned by Ananth Sriram. It is the title song of the Ram Charan’s upcoming movie. Ananth Sriram has shared his words again in this song. It is placed at the end of the movie as before of the climax scene. Hiphop Tamizha composed a goose bump tunes again in this song. Mande Agnivi Nuvvila has sung by Geetha and Hemanth. Ananth Sriram’s third lyrical Dhruva song and it is a mass background for the Charan’s dance. Gopi Purnima and Bhargav are the singers of this mass song. All the Ram Charan fans are waiting to watch his massive dance once again on big screen. Hiphop Tamizha Aathi is famous for mass numbers in Tamil songs always. The second romantic music of this film with the electrical guitar work and it has sung by Geetha Madhuri and Karthik for male vocal. Ananth Sriram penned his fourth song for Ram Charan’s Dhruva. The final and fifth track is the only song with Chandra Bose. He penned for the protagonist hero and it has the motivational lyrics. Hiphop Tamizha used some older tracks for this film and he used the Revanth‘s voice for this song. The Dhruva Movie Songs will be released as soon and the movie is set to release on this December 2016.